Put broccoli florets in boiling water with some salt and 1 tsp of oil. Boil for 2 minutes then put them in cold water. Then drain them out and keep them aside. 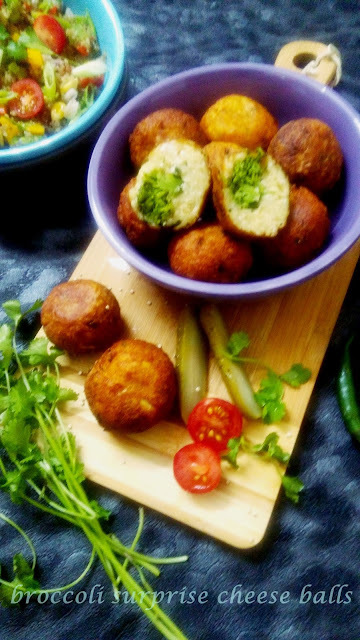 Coat the balls with corn flour by rolling them in dry corn flour and fry in hot oil. Or make a slurry of corn flour by adding some water in corn flour then dip the ball in the slurry and coat the ball with bread crumbs and then fry. Serve them hot with the dip or chuttney of your choice.